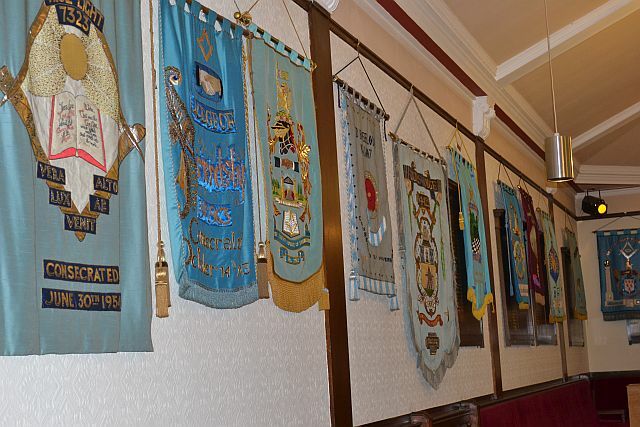 Tercentenary Textile Exhibition – A display of historical and current Lodge and Chapter banners together with other textiles. Embroidery Demonstrations – Demonstrations of the embroidery methods used in the creation of banners and other textiles performed by the Warrington Embroiderers Guild. 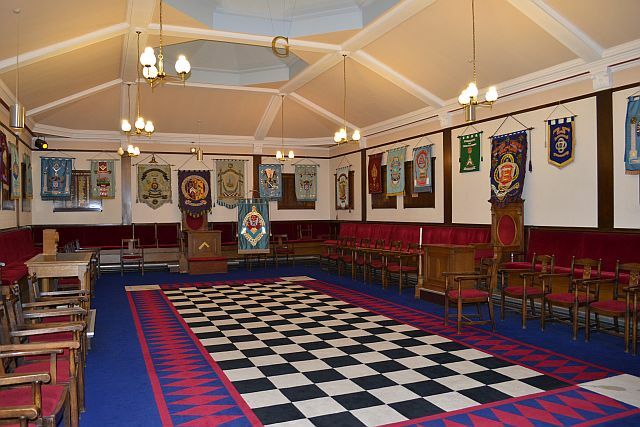 Guided Tours of the Masonic Rooms and Museum – Although Freemasonry has been ongoing in Warrington since at least 1646, the current art deco style building was not opened until 1933, but Lodge Rooms contain much older furniture, some dating to the latter half of the 18th century and still being used for the purpose it was originally intended. All of which were available to be explored either individually of or as guided groups. Teddy Bear Hunt – Children were encouraged to find and list the teddy bears which were hidden amongst the displays. All correct answers were rewarded with gifts of sweets. 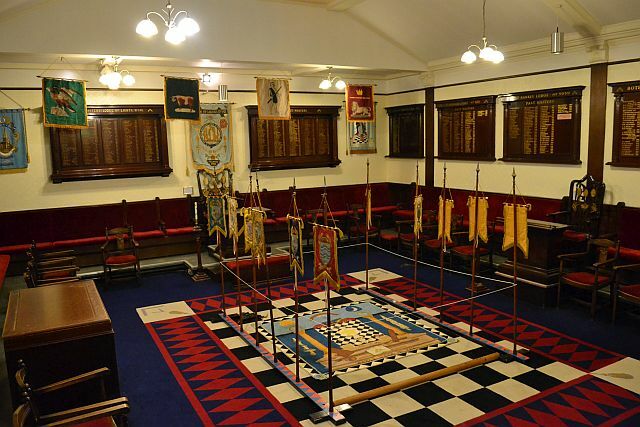 Design Your Own Apron – In the 18th and 19th Centuries it was common practice for Freemasons to decorate and personalise their own aprons, so children were given an opportunity to create their own apron designs. 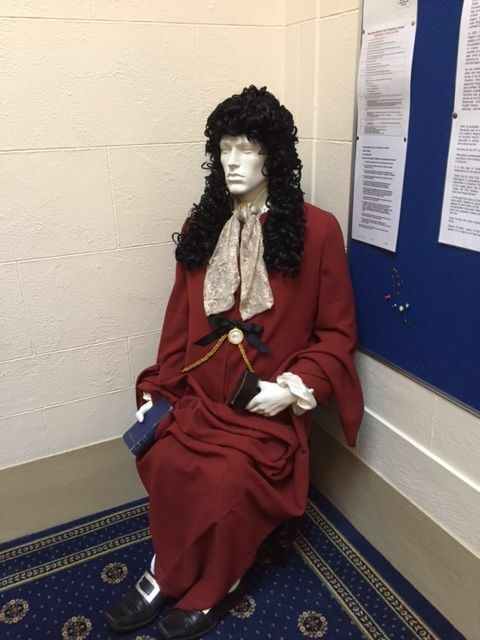 There were a large number of people from both inside and outside Masonry who took advantage of the opportunity to tour the Museum and Hall and view the displays, including the Mayor and Mayoress of Warrington, Councillor Les Morgan and his wife Gwen and the MP for Warrington South, Mr Faisal Rashid.